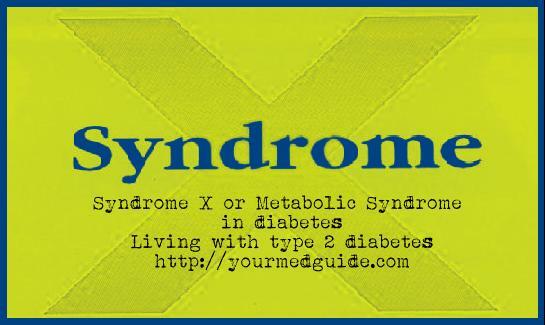 Syndrome X or metabolic syndrome or Insulin resistance syndrome is related to an increased risk of developing type 2 diabetes, heart disease and other diseases. Metabolic syndrome is quite common and mostly found in those with type 2 diabetes, poor blood sugar control or kidney disease and manifests itself through one or more risk factors that include obesity and insulin resistance. The browning of folds of skin around the neck, armpits, groin and between the buttocks. Inflammation can also be a factor in Metabolic Syndrome because it is linked to the development of artery damage known as atherosclerosis. Inflammation can show up externally or internally. Testing for insulin resistance and blood sugar levels is the first step. An OGTT or Oral Glucose Tolerance Test may be prescribed. How to manage metabolic syndrome? Ideally, diagnosis must be made early so that the risk of developing type 2 diabetes can be reduced. Ignoring it can lead to a heart attack or stroke. Regular exercise and a proper diet help. If you are diagnosed with metabolic syndrome, treatment will focus on reducing the risk of developing further health complications. A balanced nutritious diet minimizing the use of saturated fats, trans fats and cholesterol. Your doctor may prescribe medication to reduce blood pressure, cholesterol and blood sugar levels, besides helping reduce the risk of stroke and heart attack. Very brief article about syndrome X. Numerous diseases are linked with over weight, smoking, and alcohol consumption. If we can control these 3 things, then there we’re less likely to get affected with any serious disease.